President Barack Obama has said he believes Donald Trump will not become president and warned the American public to consider that his successor would have access to the nuclear codes. 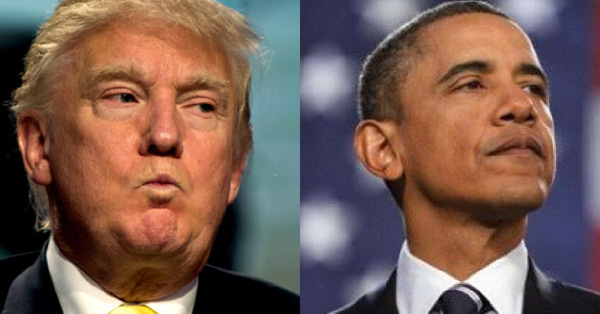 Mr Obama launched a scathing attack on the front-runner for the Republican presidential nomination in which he identified Mr Trump by name. He said: “I continue to believe Mr Trump will not be president. And the reason is I have a lot of faith in the American people. I think they recognise being president is a serious job. It’s not hosting a talk show or a reality show, it’s not promotion, it’s not marketing, it’s hard and a lot of people count on us getting it right. Mr Obama added: “The guy who’s standing where I stand has the nuclear codes with him. He can order 21-year-olds into fire. Mr Obama was speaking at a press conference in California after hosting a summit with Southeast Asian leaders. Mr Trump responded: “This man has done such a bad job and set us back so far. The borders are like Swiss cheese. For him to say that is actually a compliment. The president refused to make a choice between the two Democratic candidates Hillary Clinton and Bernie Sanders.